One of the most annoying things to do is having to manually clean your swimming pool in the hot summer sun. I HATE doing it every week and now can't live without my robotic pool cleaner. DIY maintenance can be pretty tricky and time consuming. Worst of all it gets quite tedious when you have to do it on a hot, sunny day. Fortunately, life gets easier if you have a robotic pool cleaner such as one of the models we recommend. ● Cleans walls and floor effectively. ● Easy to set up and run. ● 4 different cleaning modes. Robotic ones are typically considered to be better than the other vacuums (even pressure options and the top suction side cleaners). They are also more versatile because they make great inground pool vacuums as well. The robotic pool cleaners we reviewed are awesome because they are typically the most hands off and will require the least effort from you. As great long term investments to replace your pool guy and not needing much maintenance, a good robotic pool cleaner is well worth the price. Robotic pool cleaners use programs to track their cleaning progress to help make sure it gets cleaned in every nook and cranny - even working great for above ground swimming pools. We hope you enjoy our robotic swimming pool cleaner comparison guide, but if you want to learn how to purchase the right robotic pool cleaner check out this guide. 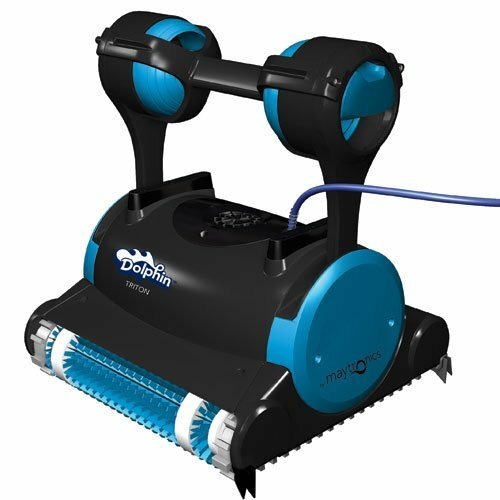 The Dolphin Nautilus is easily one of the finest robotic pool cleaners on the market. For a slightly above average price, you truly get one of the top rated models from a high quality brand. First, this robotic pool cleaner was really easy to get out of the box and start working. It doesn't have as many instructions as you might think, but it's so easy to figure it out you won't really need them that much. This robotic pool cleaner effectively cleans all over the walls and floors and is pretty close to perfect as you can get. In fact, my husband and I have never felt the need to maintain it while using it. As with almost all pool vacuums, it wasn't able to climb and reach the steps too well, but it cleaned everywhere else really well. 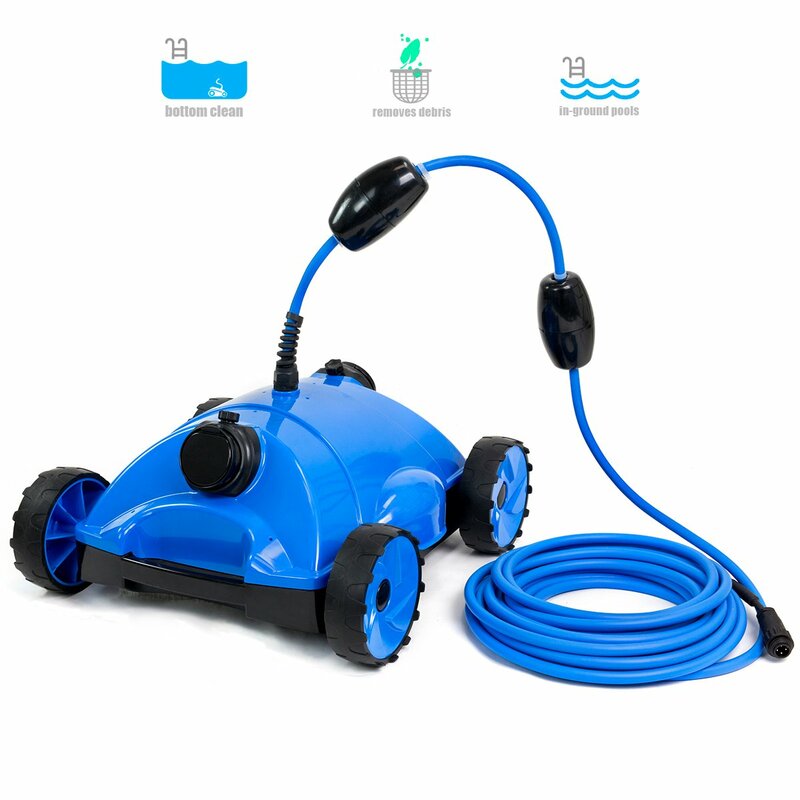 One of our favorite things about the Nautilus robotic pool cleaner is that it seems to work well for all types of pools and is seen as both an in ground swimming vacuum and perfect for above ground swimming pools. A slight con was that the Nautilus robotic pool cleaner can be difficult to get out of your pool because it can be a little heavy, but if you let some of the water run out first then it becomes a lot easier. Another con, which is minor, is the manual itself. The information isn't as complete as it could be such as not really showing what the filters are for. Overall, it's lacking some information, but at least the internet is here so that you don't need a long hard copy manual. Amazon and the Dolphin site itself will help resolve manual issues. If you need extra or spare parts for your Nautilus robotic pool cleaner then you can check out this page. You'll find all the spare parts you need - new Dolphin filters, bag, lids, tracks, foam climbing rings, etc. You can even find turbines there as well. There's not a lot of differences when you compare the Dolphin Nautilus vs the Nautilus plus. 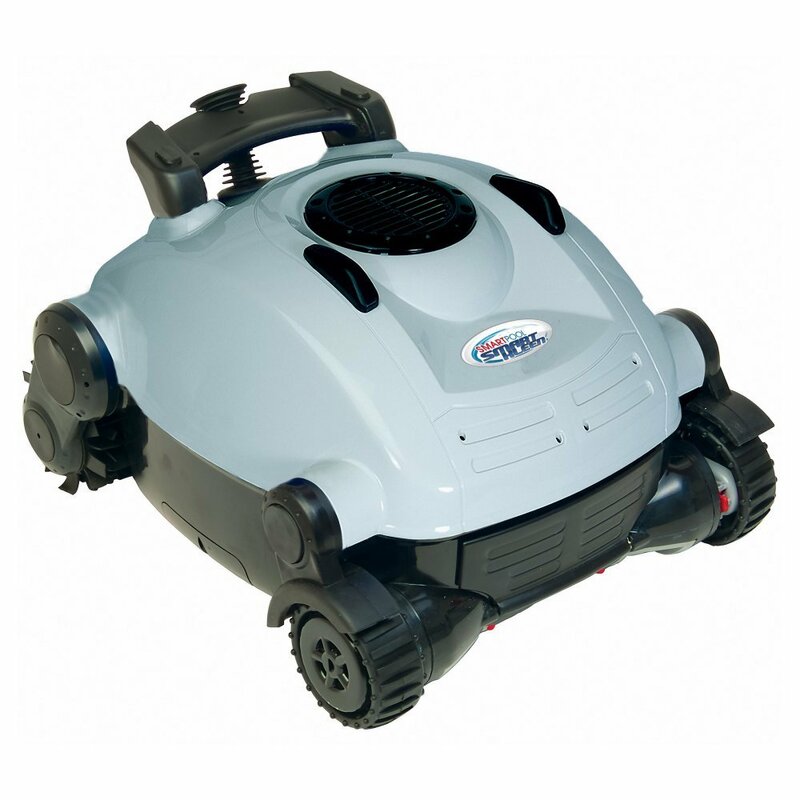 The Plus robotic pool cleaner is just a newer model with very similar functions. It IS worth the upgrade, but the original Nautilus is still more than good enough and is a little cheaper. Just like the Nautilus plus, the Dolphin Premier IS worth the money, but it's not necessary to spend the money for it. The Nautilus itself should be great for any pools, and it's a great bang for your buck when you are looking for a top tier option. Unless you really have the budget, we would really recommend the Nautilus over the other 2. This robotic pool cleaner was easily the top choice out of all of these if you're looking for a perfect swimming pool robot to do a great job and little maintenance on your own. Despite slight cons, it's ability to reach everywhere in all types of pools well makes it stand out above and beyond the others. 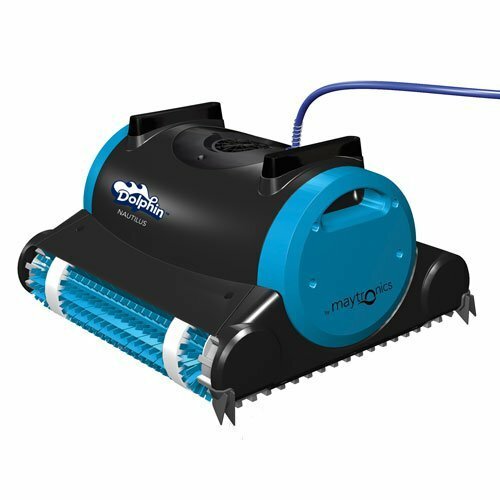 The 2016 Dolphin Premier is a great robotic pool cleaner for leaves and it will leave your pool floor immaculate. It's an update from the 2012 version, with a couple of extra features and a 3 year warranty. It isn't a coincidence our top 2 choices on this page are Dolphins- both of these Dolphin products are great. The Nautilus comes in at a better price point while the Premier is at a higher price point, but overall still a great choice. It's pretty normal that sometimes most robotic pool cleaners simply can't climb one of the pool walls, and therefore won't clean them at times. However, this robotic pool cleaner from Dolphin will usually be able to get up those walls and efficiently to remove algae and other dirt and even stains from your pool walls. The manual for Premier robotic pool cleaner is overall pretty good, too. Even though it contains a lot of information from the 2012 version, the updates made it clear enough so that you can set it up and working it was initially pretty easy. The manual improvement made a big difference, because before they were included, setting up the Premier robotic pool cleaner was a lot more difficult. Finally, I'm sure a couple hundred dollars of the price factor is to have remote access. Although it sounds like a cool feature, the Dolphin Premier's responsiveness could be improved. We weren't the happiest with how it works but some people like having it. It's a feature to consider if you can afford the extra cash for it, but we suggest thinking twice before doing so. With that said, it can be convenient if you don't want to get in the pool with it to turn it around or spending a lot of energy to have it continue. Unlike the remote the Dolphin Premier caddy is much more worth. It's a heavy piece of equipment and you want to make sure it's properly stored so that it can work for as long as possible. The caddy helps store your robotic pool cleaner properly and transport it easily so you don't have to lug it around. One thing we liked is that spare parts are easy to find. You don't want a robotic pool cleaner for which it's hard to get replacement parts - there won't be much you can do if it breaks. Fortunately, you can find spare parts for the Premier here. You'll find yourself needing extra filters for your Premier robotic pool cleaner which you can find in the previous link as well. Bottom Line: The Dolphin Premier is an outstanding option - even better than the Nautilus, but when you factor in price we just couldn't place this above the Nautilus. A great buy if you're willing to pay a pretty penny for our #2 automatic pool cleaner. Smartpool SmartKleen provides a solid clean for an affordable price. This robotic pool cleaner is pretty good at cleaning many different﻿﻿ ﻿﻿pool types. However, it is ideal for small to medium pools because occasionally the chord can get tangled. It's not the best robotic swimming pool cleaner out there, but it can remove different debris pretty well from most materials - even tricky fiberglass. It's one of the robotic pool cleaners which are able to handle a lot of debris such as leaves and sticks with. Coming with a large waste bag means it doesn't have to be emptied as often. Who doesn't like less work? It does a great job of removing materials from the pool. It'll be able to get some junk that is harder to take care of such as algae and sand. Sometimes it will miss some tight corners, but overall it still cleared enough to the point where it would look basically unblemished. One feature I liked was the 2 hour auto shut off. With this feature I didn't have to constantly watch over it and could really just leave it alone to do its work. The manual is a lot better than other's. In case you lose yours or want to take a peek you can find it here. It's very informative which makes using it a lot simpler and less frustrating. Unfortunately, finding spare parts isn't so easy as for Dolphin robotic pool cleaners. The Smartkleen isn't perfect and often has issues. If you ever need help troubleshooting a problem check out this resource. It'll give you help on different situations. A lot of the solutions are just common sense, but there are also some helpful troubleshooting tips. Bottom Line: This robotic pool cleaner will leave your pool sparkling for an affordable price. I gave it 4.4 stars out of 5, because of its all around ability and solid removal despite a cheap price. 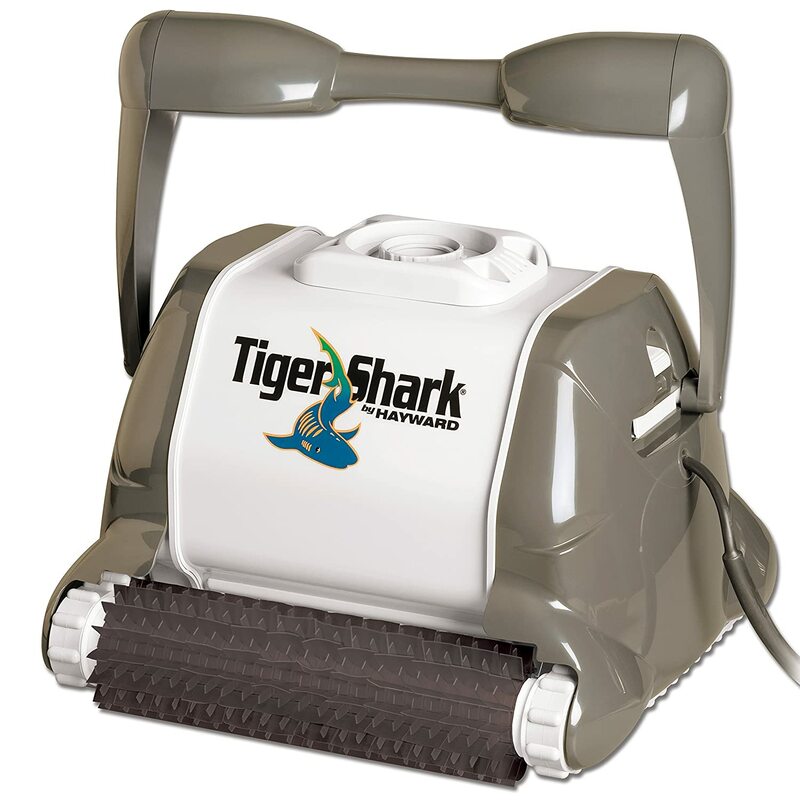 Hayward TigerShark with Quick Clean Technology﻿ is a cleaning robot that is great at removal a great price, making it one of the top contenders on our list of automatic pool cleaner reviews. The great thing about the Hayward TigerShark is that it is efficient - it will leave your look looking unblemished in a very short time. The company claims 90 minutes, but ﻿I﻿ saw closer to 2 hours which is still better than most other options - especially considering how thorough it is. Overall, it still ﻿provides a FAST clean and to me it's a big plus﻿ because if it's longer than that sometimes I will put a pool vacuum in the pool and forget about it - leaving it out for hours or days at a time. At this pace it can't reach everywhere, and misses some small patches on the pool floor, but it still reaches almost everywhere. I mention that in order for a robotic pool cleaner to be one of the best, it needs to be effective for different types of pools. The Hayward TigerShark is well rounded and ﻿definitely and can help maintain a variety of swimming pools. ﻿It may not work for really large pools because sometimes the chord can get tangled, but it didn't occur too often. However, the fact that it is so easy to remove junk with its special cartridge system makes this robotic pool cleaner a treat - simple and fast to prep it ready for another clean. The Hayward Tiger Shark manual is pretty thorough. You can find it right here. Fortunately, extra parts for the Hayward Tiger Shark QC are super easy to come by. You cain find anything you want - extra driver belts, filters, side cover replacements - anything, right here. It's also fairly easy to troubleshoot. Although you won't be able to solve some of the more technical issues feel free to try to solve any issues with this awesome troubleshooting guide. We're comparing these 2 because they are at a similar price point. However, the Dolphin Premier robotic pool cleaner is much more effective and is much higher quality. It has less issues and you'll find that it will do a better job of removing everything. Bott﻿﻿om Line: ﻿It's a great robotic pool cleaner that's a little pricier than others. If you're willing to spend the extra money then it is a good buy, but if not just go with the Dolphin Nautilus - it is an Amazon Top Seller for a reason. 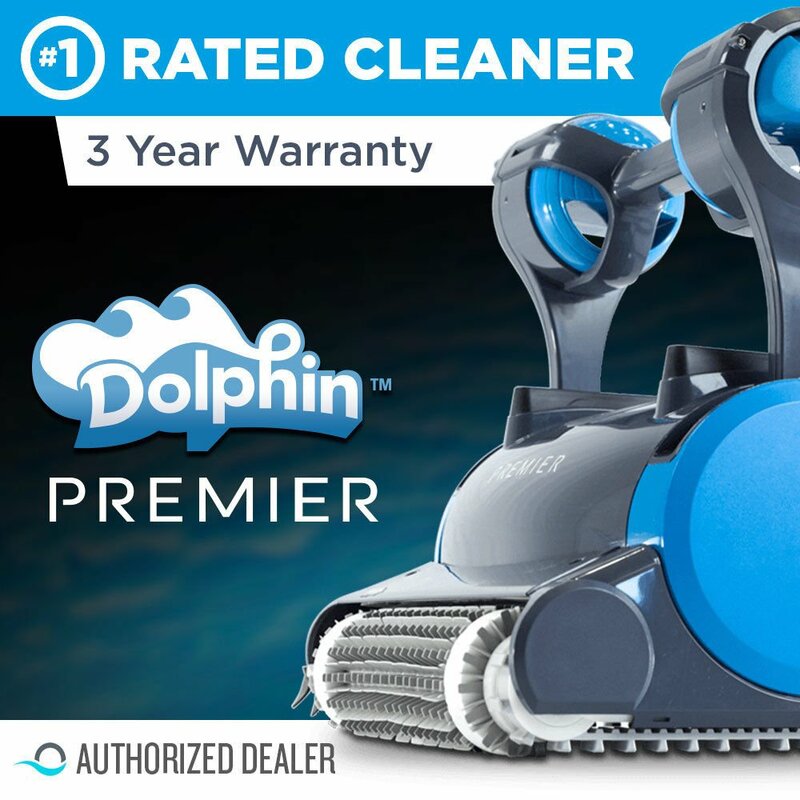 The Dolphin Triton robotic pool cleaner is really effective, but it is a little more expensive than what I would normally pay. It is great for inground pools, but it was still quite effective for all types, which is why it's one of our top rated automatic choices. It is effective for sizes up to 50 feet and will clean almost every nook and cranny! I really liked the fact that you can purchase a remote with the Triton. In the rare occasions when the Triton missed some dirt or other waste, I was able to guide the Triton with the remote to make sure the water is sparking clean. The Dolphin Triton robotic pool cleaner is good, but has a couple of software problems that make it a little annoying. For example, I found myself having to restart the software because it would occasionally crash. Additionally, it would "shut off" in the middle of cleaning and sometimes and not by the edge, making it hard to pick up and get out of the water. If it weren't for these 2 problems it would probably be much higher in the list. You can find both the manual and troubleshooting guide right here. It goes into a lot of depth and is very helpful - not only with general information, but also with solving potential problems. Triton parts are abundant and can easily be found on Amazon. Check them out here if you need extra/spare parts or replacements. Dolphin Triton IS superior to the Nautilus, but not for the price. When you compare what you get dollar for dollar then the Nautilus comes out on top quite easily. These are at more similar price points than the previous comparison. While the Premier may cost a little more, it's a much better product. There's no reason to get a Triton over a Premier -the Premier robotic pool cleaner is superior in just about every way for just a little extra cost. Bottom Line: It's one of the available if you don't mind paying slightly above average. However, if you're on a tight budget there are better options. The Aquabot Junior is a decent and mid-priced, but it surprisingly works well for all types of pools. The first thing that I really liked about it was that it required very little set up. Most importantly, it did a great job of cleaning everywhere it went - from picking up finer articles to large rubble such as leaves and sticks. Unfortunately, this robotic pool cleaner doesn't reach everywhere- like most of the walls, deep corners, and it isn't always able to climb back up the slope to the shallow end. If it's in the deep end it'll stay there. It's typically able to clean in 2-3 hours, but it can be a little longer for swimming pools that are shaped differently from the standard rectangular or oval pool. While we're on the subject of 2-3, that's about how long the Aqua Products Aquabot Junior will last in years. I guess that's why it's a lot cheaper than its non junior version. The Aquabot Jr Manual is pretty complete, but does have some holes in basic set up. This robotic in-ground pool cleaner does a decent job and will help you get the job done, but if it's your first time setting up an automatic swimming cleaner then it may be a little confusing. Like most Aquabot products, the Junior is easy to find replacement and spare parts for. In fact, you can find extra filters bags, drive belts, and more on this Amazon page. Bottom Line: It's a good, but with such a short shelf life we wouldn't recommend it because we would want a one that is more automatic and has a longer shelf life. Worst case is it'll still save you more money than hiring someone, but there are better products out there that we would recommend. The Aquabot Pool Rover Junior was overall just okay. Although I had heard great things about it from one friend I should have just trusted the general Amazon reviews (which are rather mediocre). It was easy to see that the Aquabot Junior is good at small, above ground pools. It covers almost everywhere and will reach about 80% of the floor which is pretty good. However, those are the only pools that it can even clean somewhat effectively. For larger swimming pools it runs into a number of problems - most notably that it will no longer be "automatic". The most annoying problem is that the cord gets tangled pretty frequently. For some reason they thought this product would be fine without a typical ez-swizel to prevent tangling. 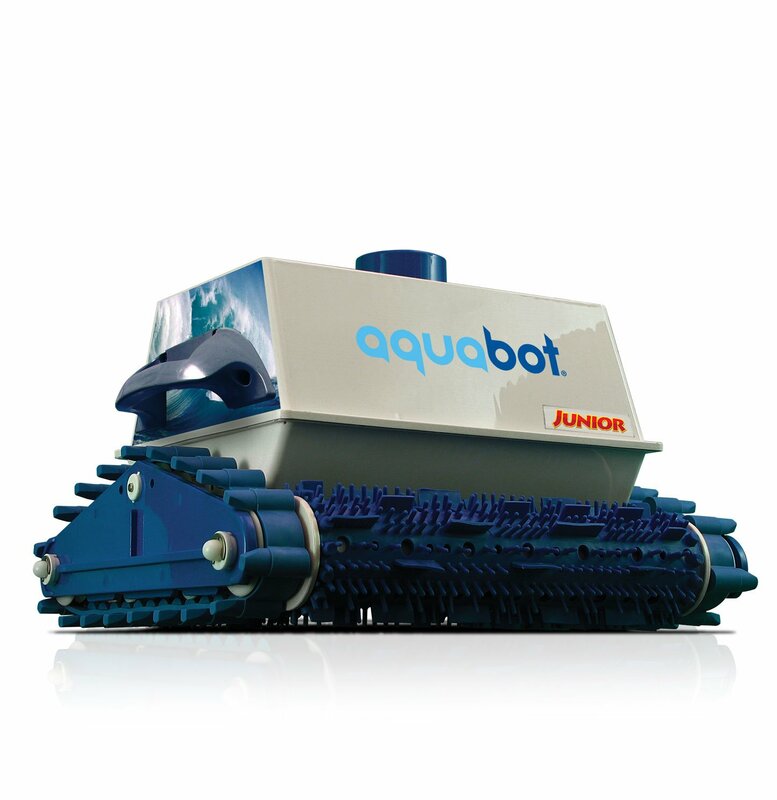 Once the pool got larger, this Aquabot Cleaner had issues maintaining the entire space. Sometimes it did, but other times it would stop and stutter, and obviously miss spots. 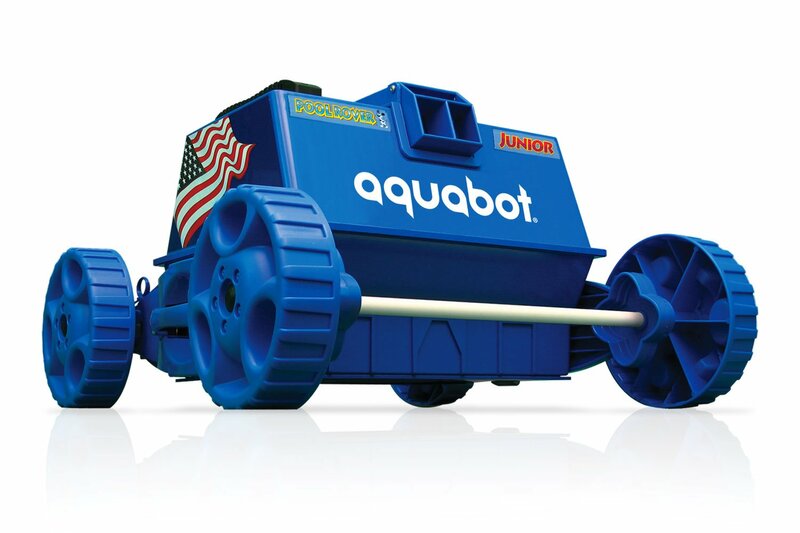 Unlike the other ones on this list, the Aquabot Swimming Pool Rover Jr. robotic in-ground pool cleaner combines the troubleshooting guide and manual right here. It's one of the better ones we've seen and if your manual doesn't come with your order, then fret not. Resort to the above guide and you'll be in safe hands - easy to run and operate, and troubleshoot. Bottom Line: It's pretty good with smaller, above ground pools for the average price. Overall, it's rather lackluster and isn't worth a buy despite it being quite affordable. Read on to see which ones are much better choices for the SAME price. The XtremepowerUS is one of the newest products available on the market. Unfortunately, newer isn't always better as we gave it an average/mediocre score in our reviews of the best robotic pool cleaners. I liked the fact that it is pretty effective on different types of pools and of various shapes. I think it is a requirement to really be considered one greats. However, the XtremepowerUS still doesn't get top marks for this fact. Despite being pretty well rounded it consistently missed some cleaning some of areas such as the water line. It was often a hit or miss, but lacks a good method to figure out how to clean against the water line. Overall, I found that it had good cleaning coverage, but missed some odd, random spots. I want a better product that will require less work for me. Despite this, what was nice about this was that I never saw the cord get tangled which saves a lot of hassle. Also, it was easy to set up and maintain, especially taking it out because of its light weight. Bottom Line: It's a decent buy that will improve the cleanliness and reduce maintenance for most owners. Latest lineup addition: Aquabot Turbo T2 Plus - Thoroughly reviewed!